It is the power of faith which motivates the devotees to endure all hardships that comes wrapped up with a trip to the Kumbh Mela. 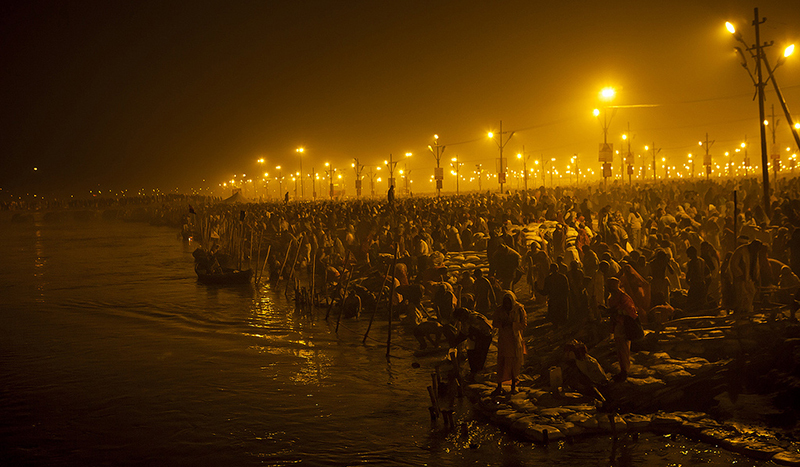 It is an assembly of millions, all gathered together to be a part of the massive Kumbh, where devotion meets tradition. Devotees believe that a visit to the Kumbh Mela frees the soul from all hardships of life and some of the mortal sins are washed away. Kumbh Mela is organized every third year on a rotational basis across many cities such as: Haridwar, Allahabad, Nasik, Ujjain. So, this year it the turn for Nasik, where one can experience sea of humanity gathered together to be a part of this sacred event. The most important part of this Kumbh Mela is the “Shahi Snan” (Royal Bath). It is believed that those who take a Royal Bath in the sacred river during this Mela wash away sins of all previous births. It is also an opportunity for the devotees to get relief from the never ending cycle of Birth. The essence of this Mela is sacred and keeping the comfort and essence of this Mela in mind along with an attempt to clear the extra rush in Nasik, Railways have launched 12 special super fast trains to Nasik Road for the convenience of pilgrims planning to attend Kumbh Mela. Not only this, Indian railways has also extended and improvised the facilities for the pilgrims with a new platform at Nasik Road railway station especially in view of the huge gathering expected for the event. There are many other special arrangements made like ticket booking counter and new foot over bridges. When millions of travellers converge on a route, there will be a lot of confusion. Confusion will logically lead to hassles. Some of the hassles though can be eradicated if you have the RailYatri app in your smartphones. Yes, at a basic stage the app will help you plan your trip better with Indian railways time table, trains between two stations, PNR status check, seat availability and Alerts regarding the Special Trains for Nasik Kumbh Mela. But that is not the end of the story; the app will help you when you actually embark on this holy trip too. How? Let us take a look. Platform Prediction: When you land up at a station to initiate your holy journey, you are bound to witness a lot of rush of holy pilgrims. They will carry a lot of luggage too. If you end up at the wrong platform then it could be quite challenging to reach the proper platform in time to board the train. RailYatri app predicts the expected Platform number accurately. Coach Position: Now that you have landed at the right platform, the next step is to find your coach. Again, the platform will be choke-a-block with other fellow devotees, so if you end up on the wrong side of the train it could be very difficult to land up at the exact coach position. Suppose you are waiting at the 12th Coach position at the station and when the train arrives you find that your Coach is located 3rd from the engine. This would be a long distance to cover in the midst of a huge crowd gathering. So, you can avoid this hassle by using the Coach Position feature in the app. This will also help you immensely in the return journey as well. Trip Sharing: The load on the routes leading to Nasik Road will see a drastic increase come the Kumbh Mela. 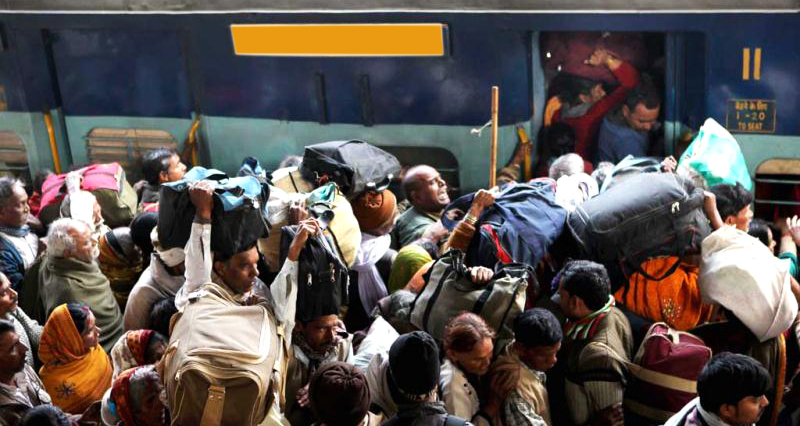 This is when there is a chance of devotees facing huge delays in trains and waiting for hours. All the while you are not sure whether the battery of your mobile will last to make a call back home intimating about your live train status. So, why not Share a Trip using the app. By sharing the trip you will get a unique URL that can be shared with your family and friends. They can track the train all through the journey and stay worry free even when they do not hear from you. Book a Taxi: Once you land up at the Nasik Railway Station, you may feel stranded in the crowd with so many people approaching the same destination. The auto and taxi operators also get cunning at such times and ask undue charges from passengers to fill in their coffers. Why pay such exorbitant charges when you have the RailYatri app. You can use the taxi booking facility beforehand to save yourself from last minute inconveniences and reach your destination without hassle. RailYatri will be friend and guide for your holy trip to Kumbh Mela in Nasik. The RailYatri team wishes you a comfortable and Shubh Kumbh Yatra.